Our goal is to connect people with the best local experts. 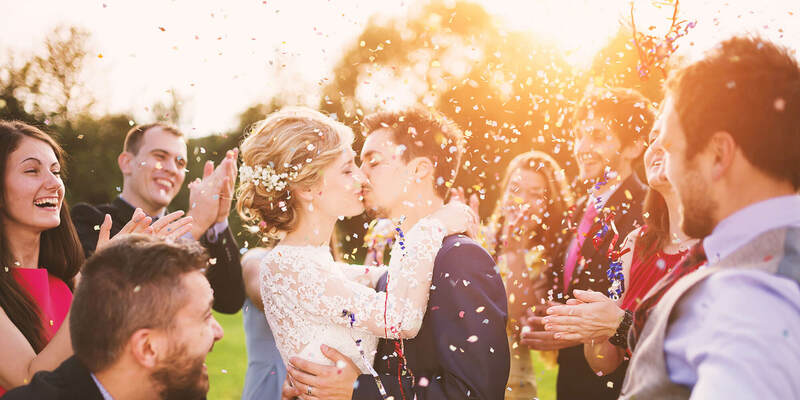 We scored wedding photographers on more than 25 variables across five categories, and analysed the results to give you a hand-picked list of the best wedding photographers in Boston, MA. 617 Weddings is a recipient of WeddingWire's "Couples Choice Award". They also offer disk jockey, videography, and wedding planning services in the Boston area. Clients have been delighted by 617 Weddings's ability to deliver photos promptly. Aaron Spagnolo Photography has done primarily wedding photography in the Boston area since 2011. They bring experience from working with Fortune 500 companies, MIT, and mainstream media. Documentary and photojournalistic styles are their preferences to create candid wedding images. They specialize in Armenian and Italian weddings. Adrienne Jeanne Photography & Cinematography aims to capture candid moments at proposals, engagements, and weddings. They also specialize in maternity and newborn portraits. Based in Boston, they are available to travel for destination weddings. Available for weddings in Boston, DC, and Miami, Anna Muhhina Photography aims to take photographs that look and feel natural. WeddingWire has awarded the company seven years in a row for its work. Located in Boston, Ars Magna Studio brings a background in fine art to create artistic wedding pictures that focus on telling a narrative. They also specialize in engagements, portraits, and boudoir photography. Based in New England, Brian Phillips Photography is available for destination weddings and other events. They are recognized in several publications including Best of Boston 2008. Callan Photo aims to be flexible in their approach to photography, staying open to using any style that suits the event. They specialize in weddings, engagements, senior portraits, and family pictures. They serve Medford, Boston, and surrounding areas. Based in Boston, Cambria Grace Photography has been featured on Martha Stewart Weddings. They shoot a limited number of weddings and engagements annually and also specialize in photographic home tours and other business shoots. Founded in 2013, Captured in Moments Wedding & Portrait Photography uses a photojournalistic style to capture candid images and produce a realistic feeling. They are based in Chelmsford, Massachusetts, and are available to travel. Featured in several publications, including Boston Weddings Magazine, Click Imagery focuses on capturing natural-looking images. They specialize in photographing weddings, engagements, maternity, newborns, and families in Boston and surrounding areas. Dan Aguirre Photography does wedding and engagement photography, bringing professional experience from The Boston Globe, Boston Magazine, and more. They prides themselves on their photojournalistic images focused on capturing the intimacy, honesty, and humor of the day. The company serves the New England area and is available to travel. Boston photographer Gina Brocker's relaxed approach and ability to document a wedding's honest emotions have earned her recognition around the world. Her timeless candid photos have been featured in publications such as the British Journal of Photography and The Sunday Times. Founded in 2012, Jazz & Tara Photography offers wedding, engagement, and event photography services in the Boston area. They also design and create invitations, decor, professional prints, and albums. Based in Reading, Massachusetts, Justine Yandle Photography shoots weddings, engagements, and portraits using a photojournalistic style. The company serves New England and is available for destination weddings. They are a member of Wedding & Portrait Photographers International. Leise Jones Photography specializes in portrait and storytelling wedding photographs. Based in New England, they aim to be non-intrusive during events and sessions. They also offer brand storytelling photography for businesses. Clients who have reviewed the company have commented the photographer connected with them and felt like a friend. Nicole Baas Photography offers wedding, engagement, and family photography in Boston and Columbus, Ohio. Featured on Junebug Weddings as a one of the Best Wedding Photographers in Massachusetts, Nicole Baas Photography aims to tell a story using both film and digital photography. Person + Killian Photography specializes in using a documentary style to capture real moments at weddings in the Boston area. Featured in Boston Weddings magazine, they strive to create artistic images and are able to improvise with events as the day unfolds. Their images were featured on Good Morning America and LIVE With Kelly & Michael. Featured in Bridal Guide Magazine, Photography by Nikki Cole brings over 15 years of photography experience to New England weddings, senior portraits, mitzvahs, and special events. They specialize in photography with a natural feel, but can adjust their style to suit the client’s event and personality. Founded nearly a decade ago, Shawn Black Photography specializes in Boston-area, modern editorial wedding photography. He strives to capture the little moments as well as the big ones. He serves special events and is available to travel. Clients report that he is helpful, easy to work with, and captures images that feel both professional and realistic. Sound City Entertainment has been offering photography and videography services for over 25 years from Stoneham, Massachusetts. They also provide other wedding entertainment packages including disc jockeys, limousines, custom lighting, and photo booths. Based in both Boston and Saratoga Springs, NY, The Harris Company Photography and Cinema offers fine art-style photography for weddings. Featured on many wedding blogs, including The Knot, they aim to get to know their clients in order to produce photographs that match their personalities. Xu Liu Photography specializes in a storytelling style of documentary photography for engagements, rehearsal dinners, portraits, weddings, and other events within 100 miles of the Boston area. They design their own albums with color-corrected images and are available to travel beyond their usual locations.